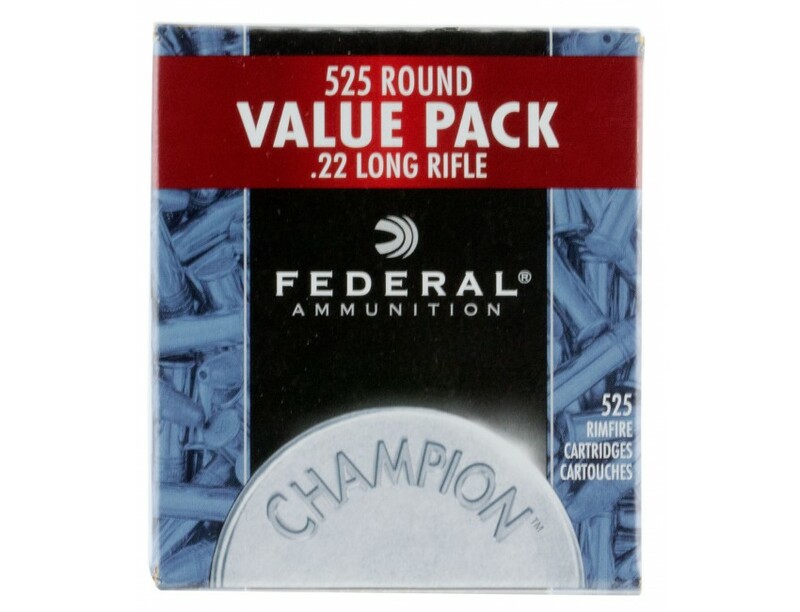 Federal Premium Champion Hunting/Target Rimfire Ammo. 22 LR, 36 GR, Copper-Plated Hollow Point. 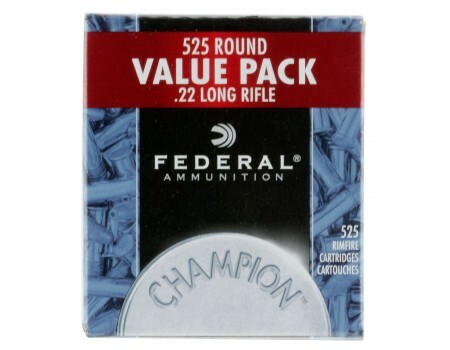 Box price, 525 Rounds/Box. Plinking. Targets. Competition. Training. Whatever rimfire pursuit drives you, you'll get accurate, affordable performance with Federal Champion rimfire ammunition. The reliable bullet, priming and brass are suited to a wide variety of rimfire range applications.